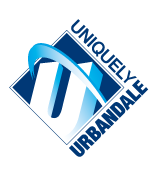 The Urbandale Community School District’s Business Services Department is dedicated to serving the needs of students, staff, and community while upholding all statutory requirements related to public school finance. Budgetary and financial reports are presented in this section in order to provide the District’s citizens, taxpayers, customers, investors, and creditors with a general overview of the District’s finances and to demonstrate the District’s commitment of accountability for the funding it receives. Please review the 2017-18 Business Services Plan on a Page.